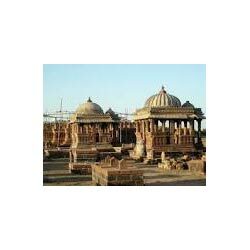 Arrive at Bhuj as per your convenience, later check into the Hotel booked by the tour. During the Bhuj tour you will visit Kutch Museum, Cenotaphs Complex, Kera, Aina Mahal, Lakhpat, Bhadreshwar temple and Prag Mahal. 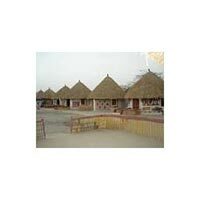 After lunch tour proceed to small villages of Dhaneti, Ajrakhpur, Dhamdka to explore their colorful culture. Return back to the hotel in the evening, get yourself freshened up and enjoy delicious dinner. Overnight staying facilities are arranged by the tour. After breakfast, proceed to Narayan Sarovar, Mata No Madh and Koteshwar temples of Bhuj. Return back to the hotel and enjoy dinner including overnight facilities. After breakfast drive to Hodka, a small village surrounded with numerous Mud huts. The Mati or Mud is the basic ingredient that is widely used for many purposes in Hodka Village. Explore unrivalled craftsmanship, typical village houses, finest works of embroidery on leather crafts, and cultural life of the village. Later visit Bannis Biodiversity, the largest and finest grasslands in Asia. All over the world there are 15 species of grassland present. The common species of wild animals such as Wolf, Chinkara, common Cranes and Houbara Bustard are seen. It is an ideal place for more than 300 species of birds including migratory birds. Return back to the hotel and enjoy overnight facilities arranged by the tour. 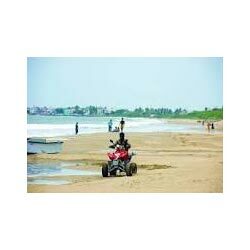 After breakfast drive to Mandvi situated on the bank of river Rukmavati at a distance of 1 km from the Arabian Sea at Gulf of Kutch. On the way to Mandvi is the Niorna village famous for its copper works and Rogan Art. Reach Mandvi village by evening. Check into the private beach resort at Mandvi and enjoy the beautiful sunset. After breakfast have full day leisure at the Vijay Vilas Palace, New Trimandir and 71 Jinalaya. Later visit Mandvi town that is well known for its old shipping centre from 400 yrs. One can personally meet the people who are at work shaping the vessels. Besides these there are women busy weaving the handicrafts, clothing and other embroidery works. Return back to hotel and enjoy overnight facilities. After breakfast check out from the hotel and drive to Bhuj airport for your onward flight. The Kutch tour ends here.